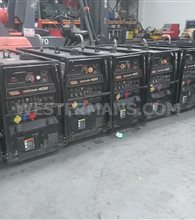 If you are on site and welding away from a power supply, browse our range of Diesel Welder Generators and that will provide the Power Source for various welding applications. 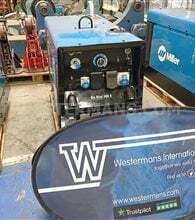 We have both new and fully-serviced refurbished machines for sale, and with over fifty years in the industry, you can buy with peace of mind from Westermans. 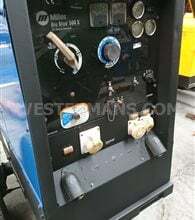 Always in stock are the leading brands of heavy duty Diesel welders from Miller and Lincoln Electric for sale worldwide. Sometimes it’s necessary to perform welding work away from a power source. 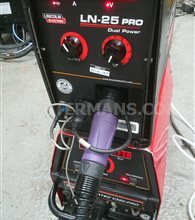 Welding equipment requires power in order to make it work, so it’ll often be plugged into a power source of some type. 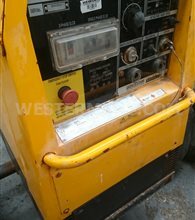 But when this power source isn’t as accessible as usual, such as when welding work is being carried out outside away from a mains electrical source, a diesel generator can provide the needed power. 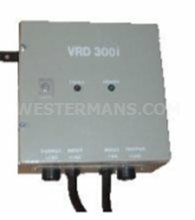 When would a diesel welding generator be needed? 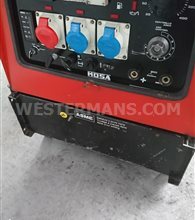 A diesel generator could be used when work is being carried out away from a normal power source. Welding being performed outside and away from any buildings would require an additional source of power which is something that diesel welders can provide. 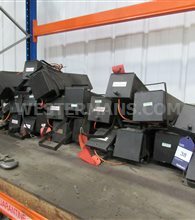 It's an easier method than running a long cable from a mains power source, and it allows for the ability to carry out welding where it normally wouldn’t be possible. 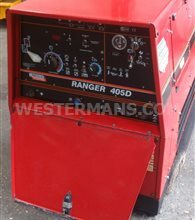 Generators are the most widely used form of portable power in the construction industry. Small units may have an output of less than 1kW and be light and portable enough to lift into the boot of a car while the big skid mounted machines can produce up to 2,500kW - enough power to illuminate a sizable construction site. 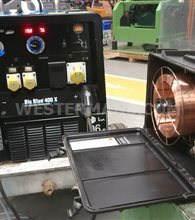 In days past a generator was just a generator but today it can also come in many other guises: welder generator, lighting tower with power outlets and even fitted into a compressor to supply dual power sources. 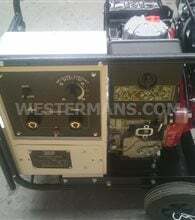 Most generators are now ‘Super Silenced’ meaning they are extremely quiet and can run overnight without annoying local residence adjacent to a worksite. 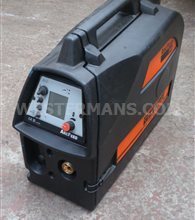 DC multi-process diesel engine driven welder designed especially for contractors, maintenance and repair and all other field based welding professionals who demand the best welding arc from an engine driven welder. 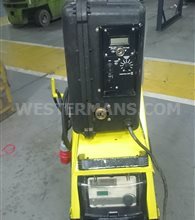 Great for off-shore welding, off-site fabrication and when not in use as a diesel welder can be used as a stand alone generator for power. 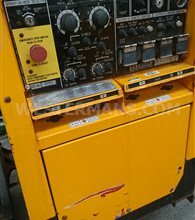 It is common to to save fuel and servicing costs to paralell up diesel welders ensuring that only the required power is generated depending on the demand. 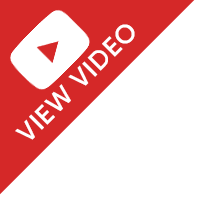 Did you know you can do that with other welding machines too? When you need it all, consider the rugged Lincoln Air Vantage 500 diesel welder for railroad, mining, heavy duty construction, and rental fleet use. A direct gear-driven compressor, with no belts or clutches to wear out, pumps out plenty of air for arc gouging with up to 3/8" carbons, plasma cutting or almost any air tool. A powerful 500 amps at 100% duty cycle is enough for almost any stick, TIG, MIG or flux-cored welding project. And, the precision arc starting provided by Chopper Technology and Touch-Start™ DC TIG will make any operator a better welder. 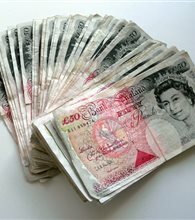 Don’t pay extra for plenty of AC generator power - up to 20,000 watts of 3-phase and 12,000 watts of 1-phase is standard. Stainless steel roof and side panels provide added durability and corrosion-resistance. The reliable Cummins B3.3 water-cooled diesel engine will keep you running — and working — for a long time.